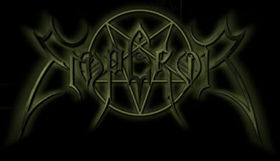 Emperor are one of the true masters of Black Metal. Their music is of unparalleled intensity with totally insane drumming and powerful yet memorable songs. And - something that I find really important - their albums sound good (as opposed to, say, Darkthrone). I am a newcomer to Emperor myself, not having heard much more than an incidental song until I saw them at the early April "No Mercy Festival" tour. I was sold. Hook, line and sinker. Few band names cover their music better than Emperor's - their music is grand and majestic, aggressive and at the same time full of subtle edges. "IX Equilibrium" is their latest. Cool booklet, nice artwork...and the music is as aggressive as ever. Although "IX" seems to lack a song as classic as, for example, "Ye Entrancemperium", the album buries itself between your ears from beginning to end. Highlights are "Curse You All Men! ", "Sworn" and "Nonus Aequilibrium". One fine album.